Tried + True Physio is a company driven by its values. We will be truthful and honest at all times, always prioritizing truth over fads and reputation. Our goal is to provide you with the tools to permanently fix your injury. At Tried + True we use the best evidence available to create a personalized plan to care for you. Since we are athletes, we understand athletes. Our treatment is based on what works rather than what is traditional. We value your bottom line over ours. Are you a runner, golfer, or new athlete in any sport? If so, an injury can derail your progress, sapping you of the many benefits of a fit lifestyle. As athletes, there is always a chance for injuries but reducing your chances of getting injured the first time is the most important. Whether you’re a new athlete delving into a sport or a veteran, we can help you remain free from injury. The diet and supplement industries are filled with exaggerations and falsehoods. Fortunately, Tried + True relies on science rather than hype or popular ideas. 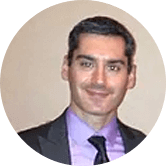 With Adam Iannazzo, you’ll learn the truth about controversial dietary issues, recommendations on if supplements are necessary for your new diet. When studying the intricacies of athletic movement, it’s only possible to see details of the athletes’ technique with slow motion technology. Using cutting-edge video technology that slows movement to 240 frames per second, it’s possible to see exactly how your body moves. With this tool, we can highlight when you’re moving perfectly as well as pinpoint the faulty movements to avoid. Adam is an expert at helping injured workers return to their usual and customary duties without restriction. He prides himself on providing only the needed amount of skilled therapy and does not continue therapy when the worker can return to work and is no longer in need of treatment and will provide recommendations to the primary doctor on lifting and work capacity. Adam’s passion for athletics and his desire to help people led to his founding of Tried + True Physio. An avid runner, yogi, and golfer, Adam has endured numerous injuries during his own training. This personal experience combined with his credentials in physical therapy from Notre Dame give him a unique skill set that is unmatched by other physios. Personalize your exercise programs at home on your smartphone device. We’ll take the time to record your exercise to take home and to easily look back on when you need to. © 2017 Tried + True Physio. Sitemap.